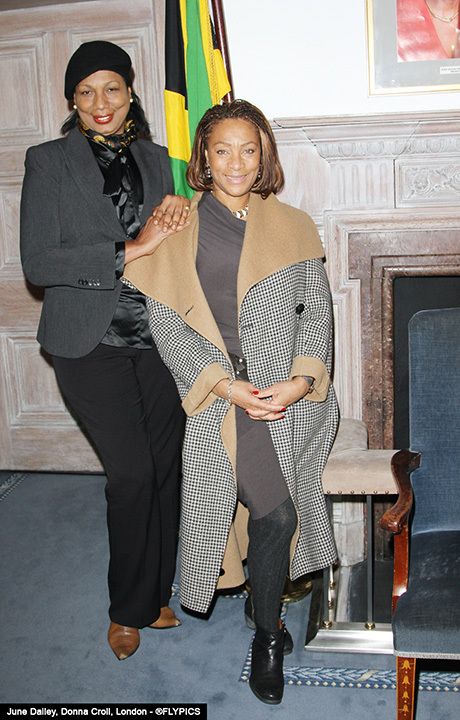 ITV Filmmakers met with the Jamaican High Commissioner to London Mrs. Aloun Ndombet-Assamba to discuss their plans to film the making of the Mary Seacole statue that is planned to be unveiled in 2015. Mary Seacole was a pioneering nurse who voluntarily set up a medical camp during the Crimean War saving the lives of countless British and allied serviceman. She was posthumously awarded the Jamaican Order of Merit in 1991. 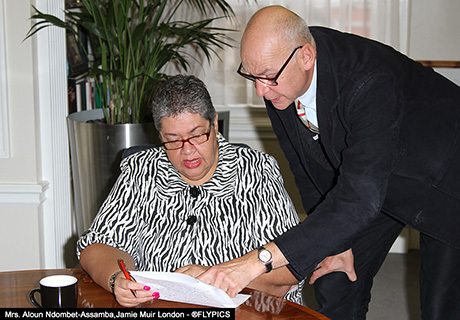 The documentary commemorating the life of Mary Seacole and funded by ITV will be covering Seacole’s background, origins, and her training as a Doctoress. 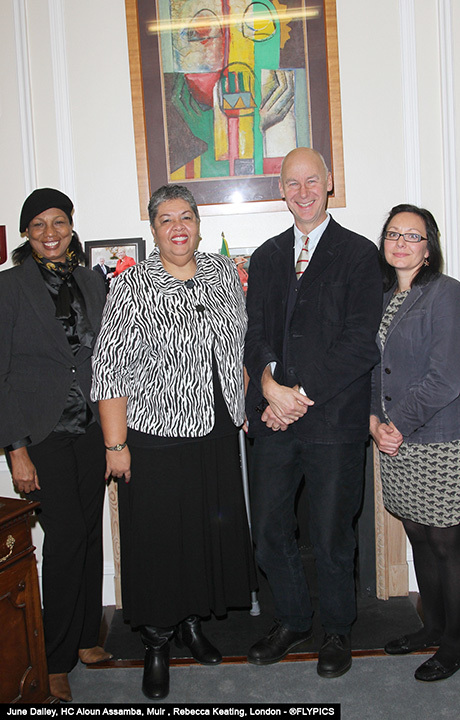 Pictured Producer/Director Jamie Muir and Rebecca Keating, June Dailey and HC for London Mrs. Aloun Ndombet-Assamba. Also spotted at the Jamaica High Commission was TV actress Donna Croll and June Dailey who has recently received a lifetime achievement award. Speaking to Flyer News Donna said: “I’ve recently been performing as part of a theatre production in Liverpool. I was in a play All My Sons at the Royal Exchange, which lasted for five weeks.